After Alex was arrested for murder, Sniffer enlists the help of Viktor to get him released. Alex hasn't been saying anything in his interrogations. When the police chief is being uncooperative, Sniffer and Viktor take it upon themselves to go the crime scene and investigate for something to help secure Alex's release. A nosy neighbour makes a call to the police chief after spying Sniffer and Viktor through the peephole going into the apartment. Viktor is reprimanded by his superior for illegally examining the apartment. Sniffer comes in to take responsibility for the illegal investigation and tells the police chief that a large supply of heroin went missing after the murder. The killer took the stash and framed Alex for the murder. Sniffer asks for access in order to be able to find the real killer and the police chief says he'll think about it. A man comes to Sniffer's apartment enquiring about whether his son is in jail. Before letting the man in, Sniffer takes a photo of the man's face with his surveillance system. The man claims to have been locked up in the same holding cell as Alex and that he knows who the real killer is. 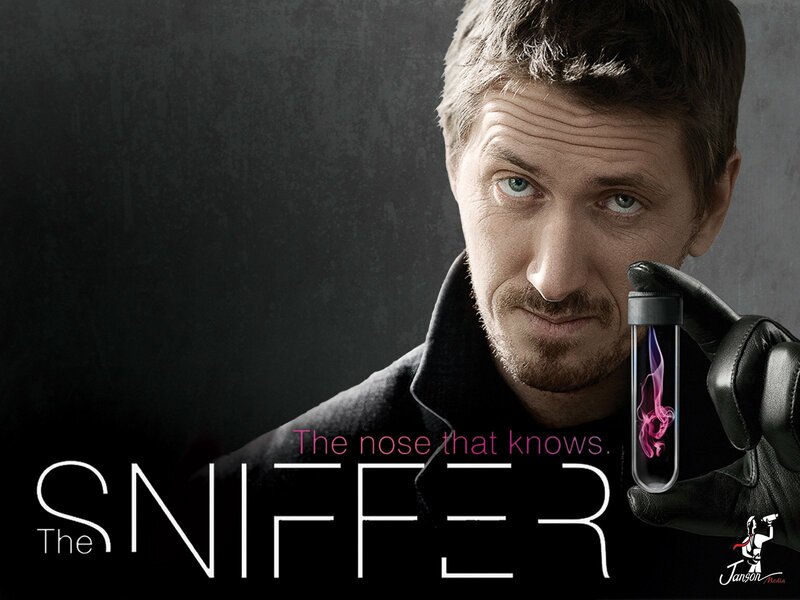 He offers to provide the information if Sniffer will pay him a thousand dollars. While Sniffer is away, the man pockets a silver cup. Sniffer knows the man has stolen it when he comes back with the money. After giving him the money, Sniffer is knocked out via a headbutt to the nose. The man leaves with all three of the silver cups while Sniffer is left unconscious. Viktor tracks down the man that attacked Sniffer using the photo taken of him. When he goes to confront him, he finds the man already dead in his apartment. Police arrive and take Viktor into custody. Sniffer is advised by his doctor to take it easy and rest for ten days. Sniffer is alarmed to find that his superior sense of smell is not working after the injury. Viktor is reprimanded once again and told to go on leave or risk being kicked out of the bureau altogether. He goes to Sniffer and together they determine that the police chief Sniffer offered to help with the case is the one behind everything and was the one who took the heroin stash. Sniffer and Viktor decide to set a trap for the police chief with the help of a tech-expert. Viktor and Sniffer don some disguises and pretend to be criminals breaking into the police chief's summer home. They install some surveillance cameras for the tech expert to record and monitor the area. They allow themselves to be spotted by Vera, the next-door neighbour, who informs the chief of the break-in. He comes immediately to check the area. The tech expert informs Viktor and Sniffer that the camera in the house isn't working but they are able to monitor the scene through the other three installed. They are able to see that the chief hid the heroin stash in one of his bee-hives. Once the police chief spots one of the cameras he realises that this break-in wasn't the work of petty criminals. All of what he has done with the heroin was recorded and Vera sends him after the trio by saying the men had headed towards the lake. As the trio are packing up their equipment they find themselves confronted by the police chief who holds them at gunpoint. The tech expert is able to distract the chief long enough for Viktor to knock him down and punch him viciously in the nose as revenge for Sniffer's injury. The chief is arrested and the heroin is taken into custody. Viktor is reinstated by his boss despite having broken orders once again, since at least this time he was able to catch the criminal. Alex is released from jail and tells Sniffer that the reason why he was with the dealer was because he had found the stash his mother had hidden and attempted to return it. Yulia thanks Sniffer and Viktor for saving their son.